before the Stonewall Riots in this exclusive audio interview. 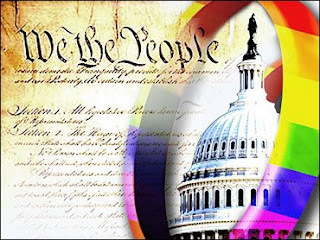 Tuesday Congresswoman Tammy Baldwin introduced the Ending Health Disparities for LGBT Americans Act (ELHDA), the first comprehensive approach to improving all areas of the healthcare system where lesbian, gay, bisexual & transgender (LGBT) Americans face inequality & discrimination. “Our current healthcare system fails LGBT Americans on many levels,”said Congresswoman Baldwin. “Although we have ample anecdotal evidence of these disparities, the federal government lacks even the most basic data on sexual orientation & gender identity & health. This bill invests in research & takes critical steps towards improving the health of LGBT Americans & their families,” Baldwin said. Edge Award Tonight. John Waters did a great interview with Guy. Ruby Rich. We'll have the audio interview next week. Strand Releasing was honored with the Lifetime Achievement. "Chica Busca Chica" Spain's "L Word"
happily & naively decides it's time to experience sapphic love. made a couple of short films. Executive Director of the P-Town International Film Festival. of Marriage Act) or DAD(Don't Ask, Don't Tell) ?? Read More..